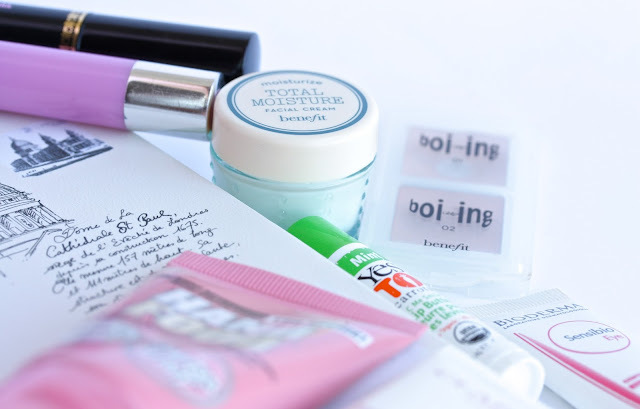 To start off with face cream, without a doubt the lucky winner has to be Benefit Total Moisture Facial Cream. This is one of the best moisturizers I’ve tried! It really does give a brilliant moisture to the skin and makes it really soft and smooth. It doesn’t feel heavy or greasy at all and as mine is a mini size it’s perfect for the plane. As for eye cream, my Bioderma Sensibio Eye is perfect. It is lightweight and it hydrates the area really well. It looks great under concealer and it de-puffs and soothes as well. We don’t want to neglect our hands and cuticles, so a must-have for me is the Soap&Glory Hand Food cream (review here). This is my all time favorite hand cream as it does a fab job at hydrating and softening the skin and at the same time it doesn’t make your hands greasy as it sinks in instantly. Makeup wise, I figured that the Clarins Beauty Flash Balm (review here) would be perfect to apply before landing, instead of foundation. This works wonders to my skin when it’s dull and tired. It perks it up and makes it so luminous and healthy. It adds some moisture and leaves the skin soft and smooth. Definitely check it out if you haven’t already as it’s brilliant and it looks wonderful underneath makeup too. Keeping up with the complexion theme, before landing I usually put on some concealer because it gives me more confidence and I love to cover up my dark circles. My flight to London was at 6:30am. so as you can imagine I had to take some actions hah. I love this travel size Benefin Boi-Ing concealer as it’s really creamy, provides amazing coverage and it doesn’t crease. 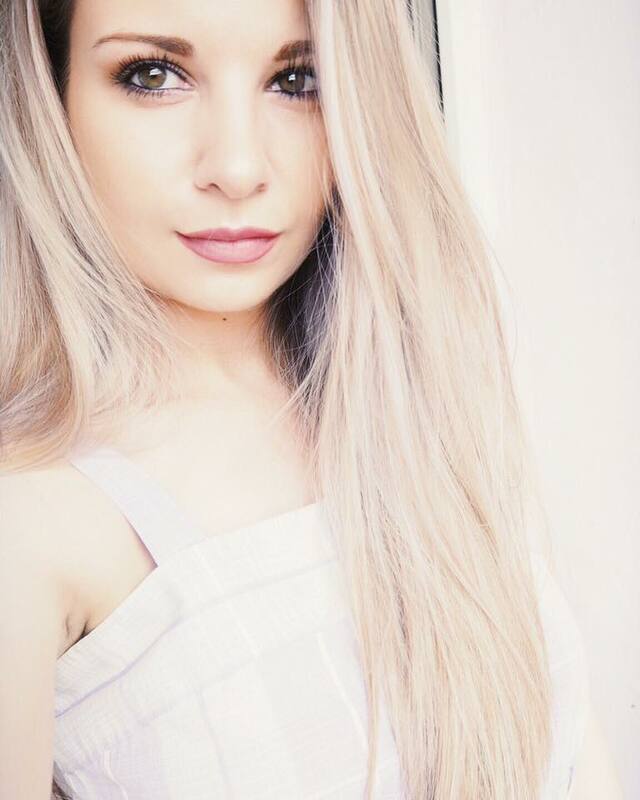 Mascara is another one of those products that gives me huge confidence so I like to apply some before I arrive. I love how it opens up the look and makes you more awake and present. I opted for my babe – Too Faced Lashgasm (review here). It lengthens my lashes and gives them a nice volume. It doesn’t flake or cake and it’s really black, which I adore! Have you tried any of these products? 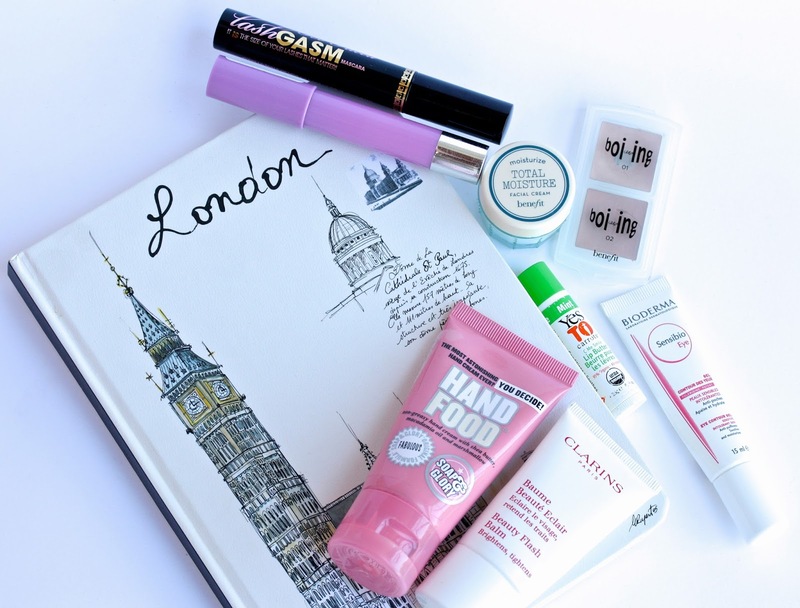 Which are some of your in-flight beauty essentials? I used to hate flying and maybe I still do a little but I've flown to China and back in a 11+8 hour flight you just have to deal with it! :) So all I can tell you is that is going to get better the more you fly! That hand cream!? It's everywhere and I need to get my hands in it! I always don't know what I could take with me on a flight wether it is everything or nothing ? haha very nice post ! I think with flying you either love it or hate it. Such a shame you don't enjoy it, just adds stress to your journey! 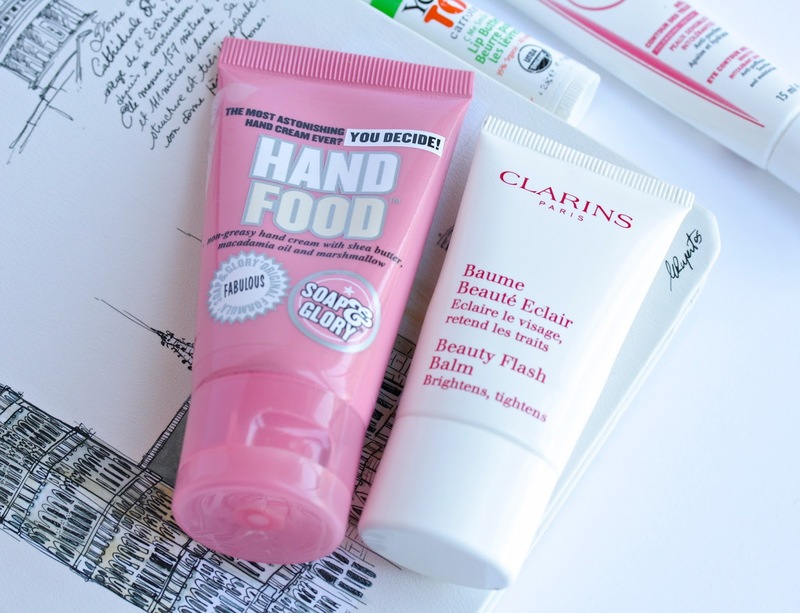 Hand food is a must though, best Soap & Glory product. I need to try Yes To Carrots lip butter, best product name ever?! Haha. I love Bioderma too))) My last post is about micellar water. I totally share the same sentiment with flying! Especially if you could hear the plane buzzing and in turbulence and all that! It scares the crap out of me haaha. It doesn't matter how many times I've been on a plane, still gives me the creeps! I haven't used Soap & Glory products in forever, I have to start up again because they are wonderful. Lovely post! Fortunately I have no problems with flying at all, I'm really so thankful for that. I've never been on a flight that took longer than two hours I think so I didn't have too many problems with dehydrated skin and the moisturiser I put on in the morning was sufficient. What I did when I flew to London was wearing my contacts. BIG mistake but I had to because of space problems in my bag *ahem*. Glasses would have been so much more comfy!